When Unity announced it was buying Applifier, the obvious tie-in seemed to be the latter's gameplay video sharing technology Everyplay. The thing that actually makes Applifier hard cash, however, is its video-based GameAds network. 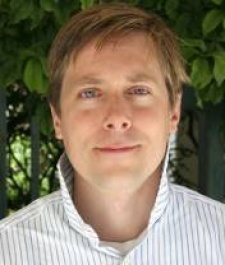 "One developer made $1 million from it in 45 days," says Unity CEO David Helgason, admiringly. It's a reminder that why game development has - and always will - be about technology, in 2014 the successful developer has to think about a lot more than just having an efficient development process. This is something also highlighted by the announcement that Unity 5 will see the launch of the Unity Cloud cross-promotion network for mobile games. "We'd like to connect the two together in time, but the use cases are different and we want each to grow as quickly as it can," Helgason says in reply to whether these ad networks can be integrated together. "What's more important is that we make our developers more successful." Of course, as a major update, there's a lot more to Unity 5 than new user acquisition and advertising services. Key additions are angled towards cutting-edge console developers, notably with the integration of Geomerics' Enlighten real-time global illumination and Imagination Technologies' PowerVR raytracing technologies. There's also an inhouse-developed physically-based shader system. "I'm really proud of our approach. We're like a group buying scheme for the industry," Helgason says. "We pay a lot for these technologies and then we spend time integrating them and developers get them for no extra cost." Pricing for Unity 5 - which is now available to pre-order - hasn't yet been announced but Helgason says "No one will be surprised. We've kept the model the same." As for the wider picture for Unity, which has gone from a three-person start-up to the de facto games-making technology for the entire industry within ten years, the CEO expresses a mixture of pride and humility. "It's going scarily well," he says of the company which now has a headcount of over 400. "We work very lean. We're profitable. We've not spent the VC money we raised. We're very stable as a business and we ensure that our developers can trust us." And despite having 620,000 monthly active users, Helgason says there's still plenty of runway. "Adding 2D support doubled our potential market," he says. "There's plenty more growth."